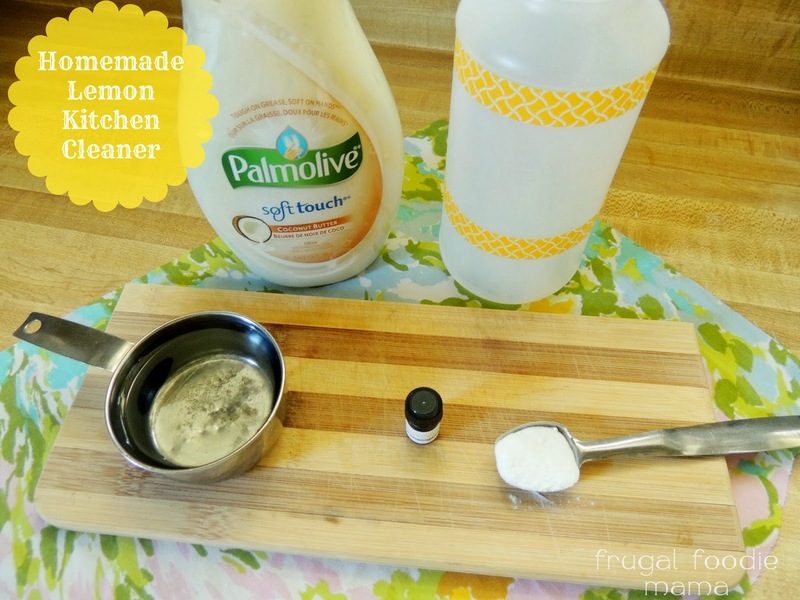 Add the baking soda, dishwashing liquid, & vinegar to the spray bottle. Without capping the bottle, give it a few swirls to mix. Fill the bottle with lukewarm water to the 14 oz line on your bottle. Add the 2-3 drops of lemon essential oil, and swirl it around a few more times to mix well. Place the spray cap on your bottle and clean away! I love this Homemade Lemon Kitchen Spray! In fact, I am on my second bottle of this stuff. It cleans EVERYTHING. Dried on food, grease, sticky messes- it has easily cleaned them all for me. And the lemon essential oil makes my kitchen smell so fresh and bright!